Posted in Communication, ProductivityLeave a Comment on Are You as Motivated on Monday as You are on Friday? Posted in LeadershipLeave a Comment on How do you define “success”? The Customer Experience: How does your organization measure up? Each growing season, my wife Laurie and I enjoy buying seasonal fruits from a local roadside stand. Fresh-from-the-orchard fruit is brought in daily; the shop's walls are lined with baked, canned, jarred and fresh items from both North and South Carolina. Although we are happy with the quality of our purchases, the less--than-special customer service greatly diminishes what we consider our “destination” shopping experience. The store is usually jammed, mostly with tourists passing the exit; sales are transactional to the staff, who seem to have no interest in whether or not anyone comes back. No smiles. No small talk. Even the simplest questions about produce from the farm they represent are met with disinterested shrugs and I- don’t -know’s. After one such trip we mused about how little it would have taken for us to make additional purchases if someone had taken the time to engage, educate and entice us with knowledge about the farms, harvest and caring that goes into each juicy bite. All that hard work to produce the fruit and vegetables, and then a let down at the point of purchase. We wondered if the owners were even aware. Last week friends of ours mentioned a pizzeria that was relatively new. It was the second location for this Mom and Pop eaterie, and we were optimistic when we went and the owner claimed to be using his mother’s “authentic” Italian recipes. We found the food unmemorable after two visits; the other couple also gave up on it citing painfully slow service and a not-so-clean interior. It made us wonder how a restaurant owner couldn’t see what we saw; just a few days after we spoke these words we passed by and noticed it was out of business. Then there was my recent experience with a medical specialist; due to the booked-way-in-advance schedule of the specialist I usually see at a particular practice, I took an available appointment with one of his associates. The appointment was uneventful, and I found the doctor to be very pleasant; when I got home and Googled him, there were at least a dozen online reviews by patients about his offensive bedside manner. Because of my coaching work in communication, I understood his way of being and knew how to work around it and bring out his human side--but what a shame that the doctor isn't aware of how he presents himself to the world! In each of the above situations, business owners have what we refer to as “blind spots”, i.e., they are unaware of what is plainly seen by customers. You cannot hide poor products, service or management. In fairness to these businesses, it’s not always a lack of caring—but a lack of KNOWING, and training. Presenting a total package to your end customer is critical to success—whether you’re a large or small organization. “We don't know what we don't know"
If you don't know what you're NOT doing right, there are ways to gauge your staff and your customers. If you train once and then become an absentee manager/owner/CEO, we can guarantee there will be cracks in the system. If you don't set clear expectations, policies and processes, that will come back to haunt you. If you don't know how to hire really terrific employees to represent your company, then you are missing opportunities to increase the profitability and reputation of your business. Great products aren't enough in a competitive economic climate--your people are your greatest resource and it's up to you to maximize their strengths. Posted in Business, LeadershipLeave a Comment on Where are Your Company’s Blind Spots? At Institute Success, we occupy an interesting position in the market place. We work with business owners and executives helping them with a process to hire the right person for the right job. Additionally, we help people with their career management. Some individuals are looking to identify their next job, and some are looking for a total career change. As a result, it gives us a different eye on the marketplace regarding what businesses look for when it comes to hiring and retaining talent for their organizations. Skills and Knowledge that match the job. Employers want you to have the right skills and knowledge. Look at the job description. Be honest with yourself. Do I have the right skills? Are my skills transferable for that position? While I’m in the job, has my job description evolved and changed? Do I need to update my skills to fit my new responsibilities? Executives and hiring managers share their frustration about people applying for positions when they are not qualified. Additionally, we will hear from our business clients this question, why aren’t my people meeting our expectations. If you’re currently in the job, continue to upgrade your skills. If you’re a career transition client, go through the discovery process of identifying what you want in your next life adventure. Then create a plan of action to get there. If you want to be successful in your life and your career, it is your responsibility to learn the art and skill of communicating with everyone you encounter in business and in life. Leadership is communication and communication is leadership. Good communicators understand and appreciate that people have different styles of communicating. Our first session with all our leadership and career clients involves creating an awareness their own communication preferences and how to interpret others. Work cooperatively with others. Don’t be that person at work who finds fault with everyone. Bosses don’t like to spend time playing mediator. Don’t discuss your last bad boss, BMW (bitching, moaning and whining) about the previous or current organization and all the incompetent employees you are forced to carry does not score you positive points. And please, don’t discuss the troubles you may be having at home. Employers tell us all the time, “We want a No Drama Zone”. Don’t assume because you feel you’re working hard, and you feel you are doing a good job, that your employer “gets it”. “Check in” with your managers. Make sure you are both in agreement that you are focused on their and the organization’s priorities. Exhibit enthusiasm and a positive attitude. Create a rhythm that they can come to count on. Be loyal. Would you want someone on your team that doesn’t show loyalty? If you feel you cannot, begin the process of looking for another job. Learn new tasks willingly. Demonstrate initiative and maintain productivity. Become a master of your skills. Be open minded to new learning. Use time effectively. Evaluate your own work and what needs to improve. Make good decision. Deliver results. Consider this to be mural of your life and ask yourself, Am I proud of this painting? 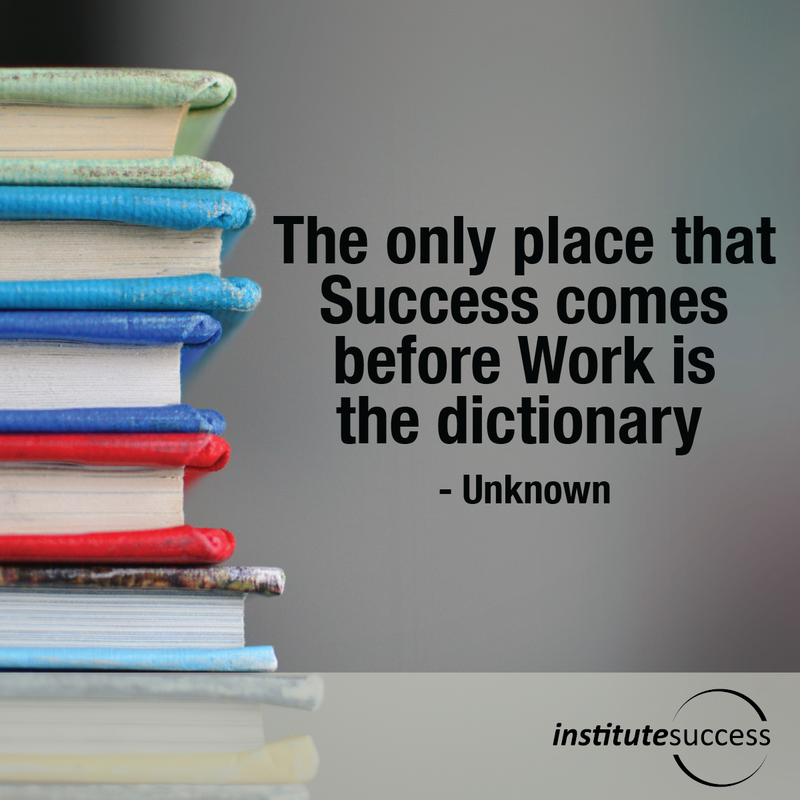 At Institute Success™ our goal is to meet our clients where they are and help them be successful in their career. 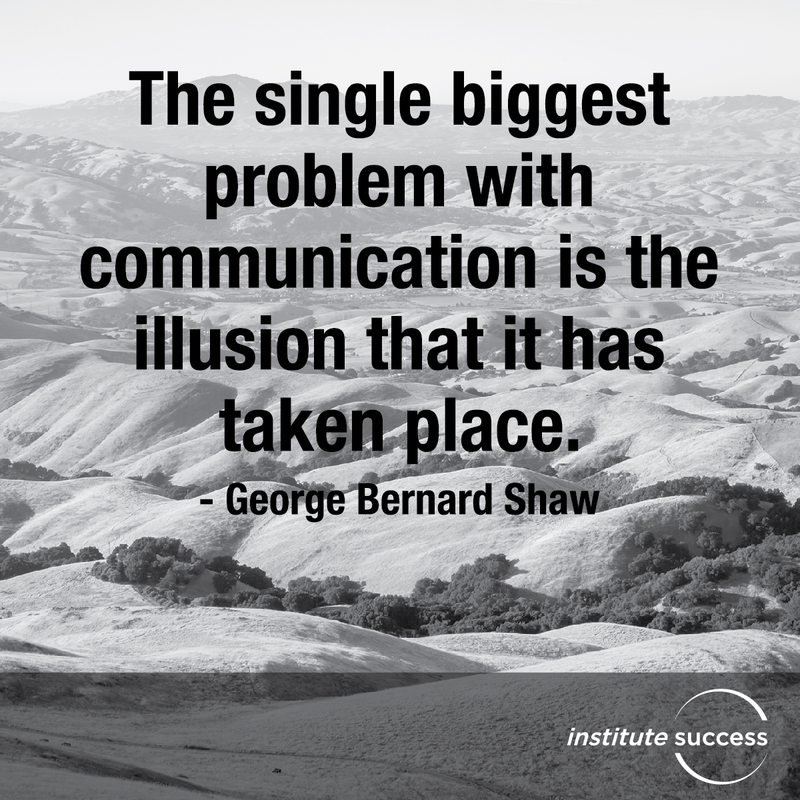 Posted in Communication, LeadershipLeave a Comment on 7 Communication killers: Are you guilty? In the book, “Social: Why our brains are wired to connect”, author Matthew Lieberman states that less than 1% of leaders are exceptional. That’s correct, less than 1%. A solid resume and competencies are essential to getting the job; however, keeping the job requires what isn’t always in the job description. Exceptional leaders are proactive about sharing their vision. Share your vision of success for the organization, the individuals and yourself. When everyone is clear about the big picture, there is greater role clarity and engagement. Share updates. If that vision shifts or changes, don’t keep it in your head. People aren’t mind readers and will resent putting their energy into an outdated plan of action. Exceptional leaders know how to engage others. By “engage” we do not mean that you only assign tasks. Job responsibilities aren’t just about the tasks you are hired to do, but the people you enroll in doing them with you. Leaders must learn to communicate with others in a way that builds buy-in and trust. Exceptional leaders deliver results. Being ‘liked’ and being knowledgeable aren’t stand-alone traits; you are responsible for meeting the company’s performance expectations. Make sure you understand what is expected of you, and discuss expectations at scheduled intervals with the leadership team. Exceptional leaders develop others. Just as you would maintain an investment in a home or car, employees perform best when we invest in their ongoing professional development. Are you providing your team with upgraded tools, training and learning opportunities? Exceptional leaders model exceptional behavior. Leaders are responsible for setting the example. Live the examples that you want others to incorporate. A strong work ethic, integrity, and respect are qualities that will make you a positive role model. What other qualities do you want your team to emulate?